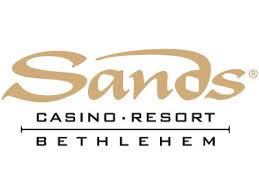 A stacked ten- bout card has been finalized for this Friday night at The Sands Bethlehem Event Center. In the main event, three-time Olympian Anvar Yunusov takes on Jose Salinas in a scheduled eight-round super featherweight bout. Salinas of Las Cruces, New Mexico, has a record of 10-3-1 with five knockouts. The 28 year-old Salinas is a six-year professional who has wins over undefeated Rafael Casas (2-0), and the highly regarded Dardan Zenunaj (12-1). Salinas is coming off a loss to undefeated Erick De Leon (14-0) on January 27, 2017 in Studio City, California. Christian Montano (7-0, 6 KOs) of Houston, Texas takes on Paul Holley (6-1-1, 5 KOs) of Sarasota, FL in a light heavyweight bout. Michael Coffie (4-0, 3 KOs) of Brooklyn, NY takes on 68-fight Veteran Jamaal Woods of Forest City, AL in a heavyweight contest. Joseph George (7-0, 6 KOs) takes on Josue Obando (16-24-1, 12 KOs) of Jalisco, MX in a light heavyweight bout. Sebastian Fundora (10-0, 6 KOs) of Cochella, California fights Jonathan Batista (18-15, 11 KOs) of San Pedro, DR in a junior middleweight fight. Jeffrey Torres of Bethlehem will make his pro debut against Steven Lopez (0-2) of Philadelphia in a bantamweight bout. Haziz Self of Philadelphia in a featherweight bout. In a battle of undefeated bantamweights, Alejandro Jimenez (3-0, 1 KO) of New Hope, PA fights Desmond Moore (1-0-1, 1KO) of Bethlehem, PA.
Ricky Nuno (2-1, 1 KO) of Bethlehem, PA fights Ashton Sykes (2-2) of Colombia, MD in a middleweight bout. Undefeated light heavyweights get it on as Kendall Cannida (2-0) of Philadelphia battles Travis Toledo (2-0, 2 KOs) of Baltimore, MD.